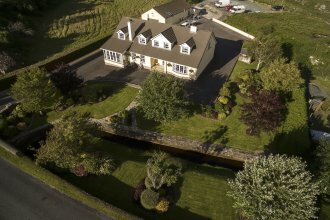 Located in the heart of the Donegal Countryside, only a few miles from Glenveagh National Park and not far from Letterkenny. We can give you a place to relax and also a base to explore the wonders and stunning views County Donegal, Ireland can give you. Your hosts Donal and Sophia Boyle are pleased to welcome you to this site. Bridgeburn House is the ideal touring base for a number of tourist attractions including Glenveagh National Park, Glebe Gallery, Colmcille Heritage Centre, Flax Mill, all within a seven mile radius. For more details see our links page for Tourist Attractions. There are also facilities such as a swimming pool, golf course and horse riding all located nearby. Excellent fishing locally as well as entertainment in the nearby pubs, theatre and night clubs. We will make your stay extremely comfortable, visit the Tour the house page for more information. 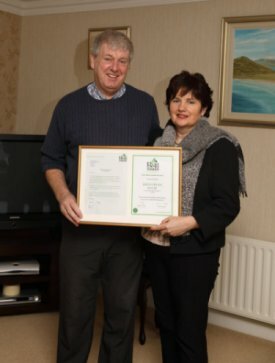 Bridgeburn House has been approved by Bord Fáilté. We hope that you enjoy your stay here at the Bridgeburn House website.